Wood fences are one of the best fencing options for your home or business. They are attractive, durable, secure, add warmth to a space, and are easy to customize. Traditional wood fences have long been the most popular fencing option among homeowners and business owners. Depending on your needs and wants for your fence, we certainly think you should consider a wood fence for your property. First, wood fences are relatively inexpensive. Yes, there are other fencing materials that are cheaper than wood, but not many. If you are looking for an economical option, wood is a great choice. Wood fences are also easy to customize, allowing you to express your personality and vision. 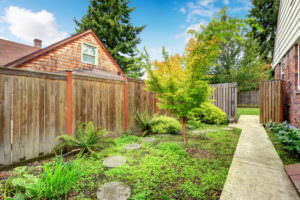 Finally, unlike many other types of fences, wood fences get better with age as they settle into the ground and the moisture in the wood dries out. There really is little that unites the category of wood fences besides their being made from wood. There are so many different styles that it is easy to find one that perfectly complements your overall design, no matter what it is. Below are just some of the wood fence styles we offer. 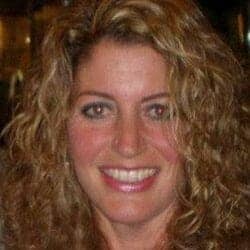 Don’t see the style you were looking for? Call us and ask. Chances are we can offer it to you, even if we don’t have it on hand at the moment. 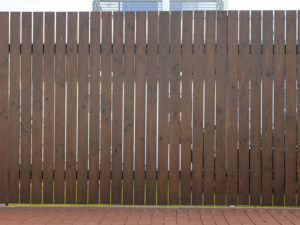 When it comes to your fence material choices, we offer you cedar, redwood, and RightwoodTM fences. While three options may not seem like a significant amount, we specifically limit our offering to these three types of wood as they are the most durable fence materials to withstand Southern California’s climate. Despite only offering a few types of wood, we still offer a wide variety of styles and finishes to customize the look of your fence for your home or business. When it comes to finishes, we are more than happy to work with you to find the one that best suits your vision. While we have many stains and finishes on hand—everything from rustic oak to barn red—our team is easily able to seek out new stains and finishes or use one you have already selected. Your happiness is our top priority. 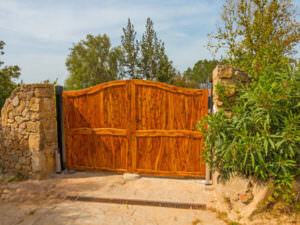 Both businesses and homeowners appreciate the protection and privacy offered by wood fences. These wonderful fences add beauty and style to your property, keep unwanted guests away, and provide a lovely atmosphere for you. If you need a wood fence, turn to us. Experience the incredible customer service and products that thousands of Riverside area residents already enjoy. We are a one-stop shop for all of your fencing needs, from products to installation. Take advantage of our nearly four decades of experience by stopping by our showroom or calling for your free estimate. 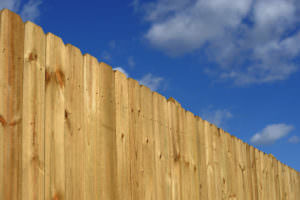 Cutting Out the Middle Man and Saving You Money On Your Fence Project.